Music remains one of the most magical, inexplicable, and fulfilling aspects of the human experience. It can be a simple distraction or a work of art, but the science behind it remains the same. Music is sound, a vibration, organized over time. Music is so broad that it is a field of study in itself. From the history of music to its criticism and philosophy, to its very science and art: people have been fascinated with the beauty of sound since the beginning of civilization. By altering a few of its elements, music can change dramatically. Pitch affects the note or the melody; rhythm can affect tempo and meter, dynamics can determine the loudness or softness, timbre and texture refer to its quality or color. Tweak any one of these elements, and you can create a different song. From work to school, mental health research to developmental studies, music has proven to have a profound impact on humans. This post will cover the various ways music can affect your life. 1. How does music affect the brain? 2. How Does Music Affect Your Health? 7. How to Maximize the Benefit of Music? Music can affect different parts of your brain. This is because sonic vibrations are picked up by your eardrums, which send information to your brain by firing off neurons, or electrical pulses. These are called brainwaves. Sound and brainwaves are linked. In this section, we’ll explore the various ways that music can impact the way your brain works. Studies published in The Journal of Neuroscience have shown that musical training can improve your speech. The Harmony Project in Los Angeles followed two dozen children, two nights a week, as they learned to play various instruments, such as flutes, oboes, trombones and trumpets. Since 2008, 93 percent of high school seniors have graduated in four years, attending colleges like Dartmouth and NYU. This is staggering as 50 percent, or more were dropping out of schools in the same neighborhood where the programs were based. So what is the explanation for this success? Nina Kraus from the Auditory Neuroscience Laboratory at Northwestern believes that students enrolled in the music program improved their ability to process pitch, timing, and timbre. These three elements are key in learning the language. As a result, they can make better sense out of the consonants and vowels than their peers. Lyrical Meaning – when patients suffering from a mental health disorder listen to or write meaningful lyrics, it can be a way to process thought and emotion. 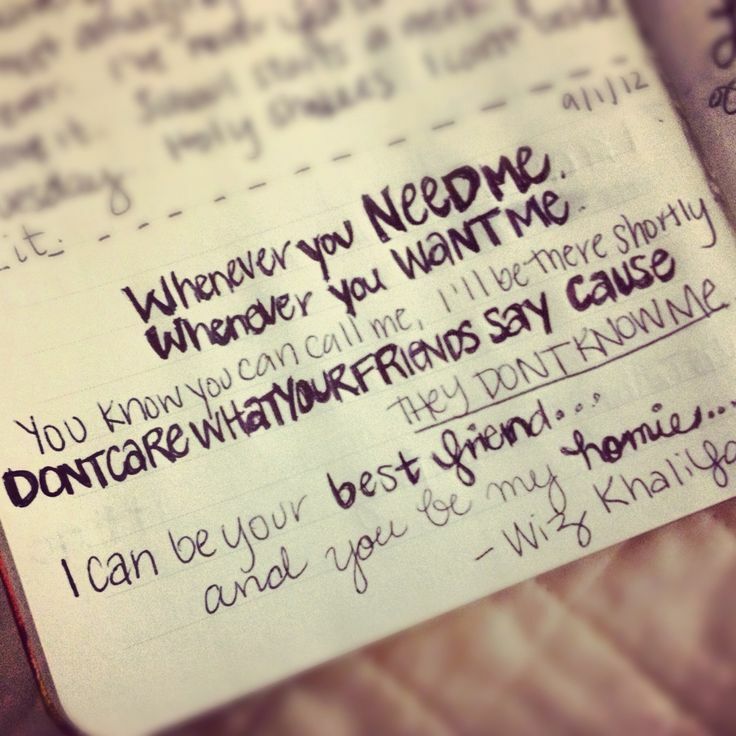 Lyrics can help someone describe or pinpoint a certain feeling they may have in ways that normal conversation cannot convey. Emotional Expression – The simple act of creating music or playing an instrument can have a therapeutic effect. Playing the drums can provide an outlet for anger or high energy while playing the piano can be relaxing and soothing. Active Music Listening – Music is based on rhythm and repetition. These aspects help engage our neocortex, the side of our brain that handles perception, spatial reasoning, conscious thought, and language. Music can be used to alter or enhance certain mood states. Song writing – Creating art has long been a free and useful way to share one’s story or experiences. Sometimes art is the only way a person can convey their feelings. Creating something honest and personal can be a statement of pride and self-love. But what about people diagnosed with a particular mental illness? How can music help these people? One study showed that singing with a group can improve the cognitive abilities of patients with dementia. The study was conducted in an American care home over four months, where scientists met with patients three times a week. Half the group sang to a series of familiar songs, while the other half just listened. The patients also took cognition and life satisfaction tests. Their findings were striking: those that were in the active singing program “[improved] cognition in patients with moderate to severe dementia,” said lead author Linda Maguire. “Musical aptitude and music appreciation are two of the last remaining abilities in patients with Alzheimer’s disease. Humans have used music to treat depression since ancient civilizations. Greek philosophers, such as Thales of Miletus, used music to treat people affected by the plague in Sparta, 600 B.C. In more modern days, music therapy was used after World War 2. Soldiers afflicted by PTSD (Post Traumatic Stress Disorder) were institutionalized, so local musicians visited veteran hospitals to perform music for them. Medical teams spoke of the emotional and physical benefits that the melodies were able to provide, and soon used musicians for therapeutic support. In a 2011 study published in the British Journal of Psychiatry, researchers from Finland studied 79 people between 18 to 50 with depression. 46 participants received standard care, but 33 also received 20 bi-weekly music therapy sessions. These lasted an hour and involved a variety of acoustic and percussion instruments. After three months, music therapy participants showed significant improvements in their symptoms compared to those with just standard care. Anxiety is often misused but is understood as a disorder that can cause nervousness, fear, apprehension, and worry about a certain event with an uncertain outcome. Just like these other disorders, music has been shown to alleviate the symptoms that many of these patients face. As the study went on, the researchers found that pain stimuli decreased, as music-task demand increased. They concluded that music could help reduce pain by activating sensory pathways that compete with the pain pathways. Music could help alleviate pain by diverting the senses through those pathways. We’ve seen how music can affect how your mind works, but how can it affect your body? Can music have any physical, tangible effects? Music can have the noticeable effect on your heart rate and blood pressure. This is because of the rhythmic nature of music. Here are a few studies that have looked into the effects of music on your cardiovascular system. At Abbott Northwestern Hospital in Minneapolis, participants who were asked to listen to music before cardiac arrest surgery were reported to feel less anxious and experienced less pain than those who rested quietly. At the University of Maryland Medical Center in Baltimore, researchers measured blood flow through the forearm while the patients listened to relaxation music. They noted that blood flow decreased significantly when volunteers listened to more relaxing music but increased when they listened to more upbeat or joyful tapes. Over in Hong Kong, elderly volunteers listened to relaxing music for 25 minutes a day for four weeks and were found to have lowered systolic pressure (the top number in a blood pressure result) by 12 points and their diastolic pressure (the bottom number) by 5 points. A control group that did listen to music had no change in blood pressure. Have you ever tried running or lifting weights without listening to music? You’ve probably realized that listening to something fast and upbeat can help your stamina and your concentration, allowing you to exercise for longer periods of time. In an experiment that dates back to 1911, American investigator Leonard Ayres discovered that cyclists pedaled faster while a band was playing than when it was completely silent. The assumption is that faster tempo music can keep you motivated and active. A survey of 184 students found that the most popular hip-hop (27.7 percent), rock (24 percent) and pop (20.3 percent). A research study published in US National Library of Medicine, National Institutes of Health Database, studied ninety-four participants, aged between 19 and 28, who were known to have certain sleeping issues. The participants were divided into three groups: a group that listened to classical music (Group 1), a group that listened to audiobooks (Group 2), and a group that went to sleep in silence (Group 3). Each group listened to their audio for 45 minutes before falling asleep, for three weeks. The researchers found that the group that listened to music reported significantly improved sleep quality, where the other groups did not report a change. Symptoms of depression also significantly decreased in the classical music group than any other group. This suggests that listening to music can help alleviate symptoms of insomnia. Listening to relaxing music such as classical or ambient music can help one fall asleep much faster or have a more pleasant overall sleep. Similar to working out, music can help you stay focused and active, even when you’re carrying out mundane or repetitive tasks. Teresa Lesiuk, an assistant professor, working on a music therapy program at the University of Miami, researches the effect of music in the workplace. She studied various information technology specialists who listened to music while completing some task. She found that those who listened to music completed certain tasks more quickly and produced more creative ideas than others. Lesiuk believes that a large part of this is due to how music affects one’s mood. In a survey conducted by PRS, seventy-three percent of workers were more productive when background music was being played, sixty-five percent of businesses say music in the workplace makes them more productive. While many of the research remains anecdotal, it still signifies the power music can have on distancing one’s self from the chaos of reality and finding a rhythm and structure to doing one’s task. It can enhance focus and efficiency. Always remember that songs that you like can be very helpful in getting your work done. With all the positive effects of music on your brain and body, it is not difficult for people to draw the connection between music and its effect on learning new concepts or ideas. One of the most popular theories is the “Mozart Effect”, which claims that playing the compositions of the classical composer, Amadeus Mozart, can raise the IQ of those listening. Researchers from both Harvard University and the University of Wisconsin have conducted tests that suggest music can raise one’s overall IQ by about ten percent. These studies’ findings remain disputed however. Whether the Mozart Effect is real or just an urban legend, we have already discussed the ability of music to allow its listener greater control over their cognitive abilities. The same goes for learning in a classroom or a library- music can block out the external world while helping the student remain concentrated on whatever they are studying. In a survey carried out by the London Metropolitan University, the pace of music played in a car can affect how the driver performs and how fast they drive. They found that mid-tempo music, such as The Scientist by Coldplay or Cry Me a River by Justin Timberlake were the safest songs to drive to. Hip-hop music resulted in the most dangerous or risky driving, while metal resulted in the fastest driving from the male participants. The researchers believe that setting a medium paced song will best assist drivers. Rather unsurprisingly, one’s mood can be affected significantly by the music they listen to. But in a study published in PLOS ONE by Durham University in the UK and the University of Jyväskylä in Finland, listening to sad music was able to elicit both joyful and melancholy sentiments. Another study published in the Journal of Consumer Research suggested that people tend to listen to sad music when they are going through a painful loss or breakup because music can have a comforting and reassuring feeling. People tend to connect to music most when it tends to highlight their particular situation or express the emotion they are attempting to achieve. So if someone is trying to stay relaxed and calm, playing a slow and soft song can be more appropriate. On the other hand, if you want to feel self-confident and hyped up, playing hip-hop and rock music can make you feel more energized. Music is not only a personal experience but a shared one. Through music, the human race has managed to find common themes (such as the beauty of life, perseverance, unrequited love, or fear of death), across different cultures, locations, and periods. Think of all the concerts, performances, festivals, parties, sporting events, and other activities where music is played- it is often when there are large masses of people. Music is universal, and it helps bring people together. Research has also shown that singing or performing music together can lead to increased pain thresholds (a measure for increased endorphin release in the brain) compared to listening solo. Another study measured the effect of a small choir versus a large choir on closeness and pain thresholds. Researchers found both groups had increased their limits after singing, but the bigger group experienced a far more significant improvement in social closeness than the smaller group. Until very recently, the only way people could truly experience music was in a live setting, at a concert or festival. Audio recordings, best portable cd player , best portable cassette player, boombox and even streaming services were considered science fiction. In those days, music required direct communication with others, creating a sense of trust and safety among people who listened to the same music. One study shows that playing music in synchronicity with others, even someone who isn’t physically present can lead to more positive feelings towards that person. 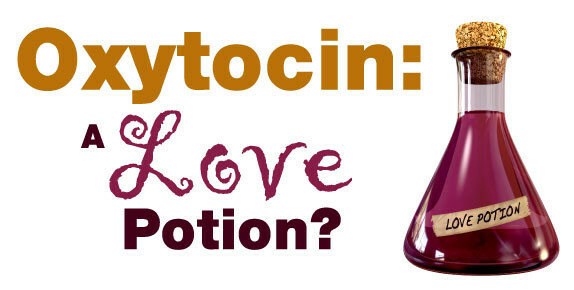 Ever heard of Oxytocin? It’s a neuropeptide linked with sexual contact and breastfeeding, and it’s released each time we listen to music. Researchers found that subjects that sang for thirty minutes had significantly higher oxytocin levels, regardless of their professional singing level. The singing also lead to a happier experience. Scientists also believe this explains why new mothers sing to their children- it creates an environment of trust and safety. A study posted by Nikolaus Steinbeis and Stefan Koelsch in a scientific publication looked at the effects of an fMRI machine on a person who had to listen to a human composition or a robot composition (even though it was the same piece of music). Participants that listened and believed they listen to a human resulted in a brain scan with an illuminated cortical network. Their brains did not light up the same way when they listened to computer music. The theory is that we listen to music to understand how the artist or artists communicate a particular message. This is also why we can listen and concentrate on lyrics or have a certain musical motif have such an impact on us- we are listening to the stories of other humans. Music naturally creates a sense of belonging and safety to those that listen. Usually, musical taste can also suggest other values, such as personality, openness to new experiences, and cultural heritage. Studies show that this social fabric is stronger within families and younger peer groups. In some societies, people use music as a “social glue”, especially when individuals have markedly different traits and characteristics. Finally, music can have a profound impact on our early development, even while we are just fetuses. Parents have long played music to their children as a form of soothing them, putting them to sleep, or simply to boost their learning capabilities. Below you’ll find a few examples of how playing music can benefit your children. The University of Washington’s Institute for Learning & Brain Sciences (I-LABS) discovered that playing music to 9-month old babies lead to an improved understanding of rhythm in music and language. Researchers tracked twenty infants as they were played children’s music while participating in rhythm exercises with their parents. Nineteen other babies were given some toy to play with but were not played music. After seven days, the babies were brain scanned. The researchers discovered that the babies in the music group showed a more significant response to disruptions in music and speech. Over at McMaster University, researchers found that the effect of music can be supported by parental interaction. The study divided a class of one-year-olds into two sets: one “interactive” music group, where children played with percussion instruments and were sung lullabies to by their parents, and a “passive” music group, where children played with toys while Baby Einstein was played in the background. At the end of the study, babies in the interactive music classes, “smiled more, communicate better, and show earlier and more sophisticated brain responses to music.” they were also shown to be more sensitive to pitch in music, preferring a certain version of piano piece that stayed in key verses an out-of-key one. The same could not be said about the passive music group. One study, titled “The Effects of Music Therapy on Vital Signs, Feeding, and Sleep in Premature Infants” concluded that singing lullabies and playing simulated womb sounds to have certain benefits, such as improved blood oxygen levels, sucking behavior, and decreased stress. Two hundred and seventy-two babies from eleven different Neonatal Intensive Care Units (NICU) were monitored for 32 weeks by music therapists. Womb sounds, such as a “whoosh” audio sound created by an instrument, was synchronized with the baby’s heartbeat. Each baby was either small for their age or had a health condition. When can you play music for baby in womb? You can play music to your baby any time of the day. It is advised that you make the baby listen to songs, twice a day for 5-10 minutes, and a maximum of one hour a day. Overexposing your unborn baby can potentially harm the baby. You can also play music and have its best effect when you eat in a peaceful and silent environment. A noisy environment makes the baby confused. Listening to music in a silent place makes the baby focused on the music being played. Music can actually be enjoyed no matter who or where you are, and for whatever reason. No one needs a guide or a blog post to show them how to listen to music or how to enjoy it- people simply do, by nature. But here’s a few ways you can learn to appreciate music just a little more. One way to truly gain a deep appreciation for music is to write it yourself. Learning to play an instrument as piano, guitar, clarinet and trumpet remains one of the most worthwhile investments, helping you gain a new talent and overall become a more well-rounded person. One of the best instruments that can bring you a lot of benefits are acoustic guitars and digital pianos. They are the most popular instruments, and they are some of the easiest ones to learn from. If you learn to play the guitar, you will be able to learn to play other instruments such as Ukulele, Electric Guitar & Bass guitar easier. Research shows that musicians have structurally unique brains compared to those that do not play an instrument. More specifically, scientists noticed that the part of the brain responsible for motor skills, audio information, and memory is larger and more active when a person is learning to play an instrument. This section of the brain can also improve day to day, resulting in a more alert mind, and greater emotional perception. For children especially, we found that learning to play the piano, for instance, teaches them to be more self-disciplined, more attentive, and better at planning. All of these things are very important for academic performance, so can therefore make a child brighter. The singer-songwriter, Jason Mraz, once said, “Everything in life influences my music. I’ve always used songwriting as a means to share what I think is profound.” The same rings true for other artists. Writing songs, just like writing any form of art, is a challenge because it is a search for one’s truth. Sharing something that resonates deep within you can be a monumental challenge. It’s easy to feel scared. But songwriting can also be liberating, a means of escaping routines and expressing one’s real emotions and stories. 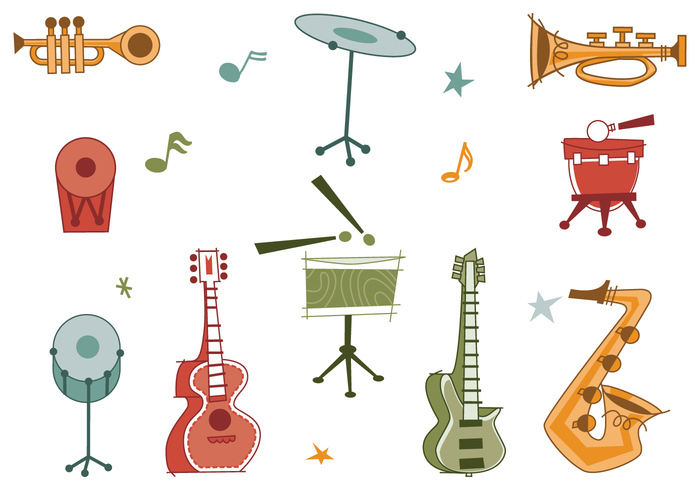 Think about which instrument you’d be best at, or would be most interested in learning. Perhaps you have great vocal chords and want to sing, or maybe you would be more suited playing guitar and learning how to form chords or arpeggios. Whichever you decide, try to analyze what you like about the music you listen to and see if you can try to write your music. You’ll soon learn that songwriting is a skill that has no proper rules, but is based a lot on feeling and sentiment. Write down lyrics, notes and guitar tab. Record your music and share it with your friends. Practice over and over again. You may realize that songwriting can be one of the most creative and rewarding outlets for expression. Gone are the days where people purchase vinyls, tapes, or CDs. Everything song, album, mixtape, and collection is now online, stored in the cloud. Even purchasing music has declined, as people would rather pay for streaming services at a monthly or yearly subscription. One of the most popular streaming services, with a heavy emphasis on custom playlists, social networking, and an open platform, Spotify is free, but a premium service usually costs $9.99 a month, allowing you to skip ads, listen offline and on-demand. Family and student discounts are available as well. You can use Spotify on your Android or iOS phone and even play on your Playstation consoles. Spotify also features a few social features, such as sharing playlists or linking on Facebook, allowing users to see what you’re listening to. Apple has created a whole new service in addition to its already massive iTunes library: Apple Music. Similar to Spotify, Apple Music offers unlimited streaming through large catalogs for $9.99 a month, but also has family and student discounts. Unlike Spotify however, Apple can secure some exclusive deals. One example is when they had exclusive access to Chance the Rapper’s third mixtape, Coloring Book, a week before everyone else. Unfortunately, Apple Music is only available on iOS devices. SoundCloud has gained a certain cult following on the internet due to its sleek interface (which allows users to comment on specific segments of a song as it is playing, free service, and ease of uploading. More recently, SoundCloud introduced its answer to Apple Music and Spotify, with SoundCloud GO+, which is also at $9.99 a month for ad-free, on-demand and offline listening. SoundCloud has a vast library of music thanks to the various independent artists that publish their work through the service. Pandora bills itself as more of a personalized radio station than a music streaming service. Powered by the Music Genome Project, Pandora allows you to constantly create and update radio stations with great ease. The radio stations are based on your musical preference, and Pandora will analyze each song you like based on its mood, genre, similar artists and songs, and more. Each station is unique to you. Pandora is free to use. YouTube has cemented its legacy as the default website anyone would go to watch a video. But the site has also been known for hosting millions of music videos and songs that just can’t be found on any other service. That’s why Google developed YouTube Music, an app, and service that allows you to download an “offline mixtape” and listen to music even with your screen closed. Each service comes with its own pros and cons. Make sure to do your research and choose the service that you would more frequently use. You’ll learn that some services have exclusive music, while other services have exclusive features. 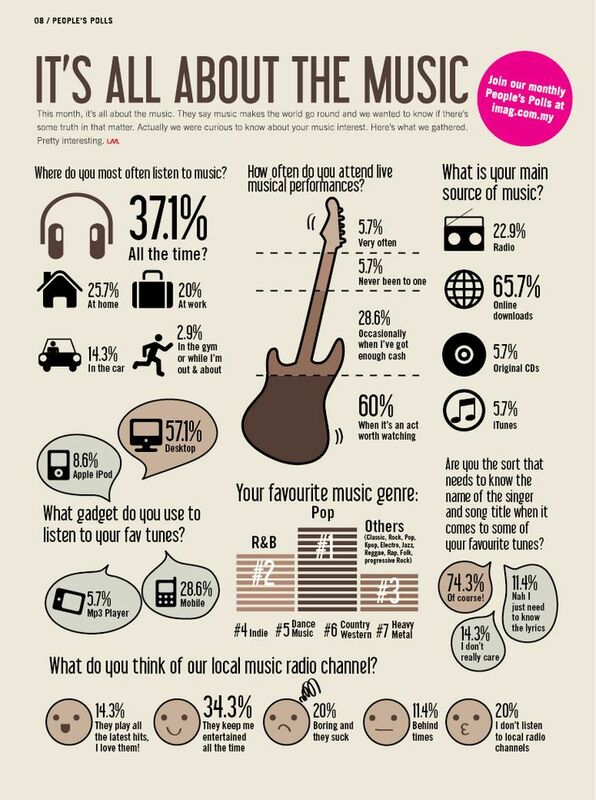 Before recordings, people went to concerts and festivals to hear their favorite music. 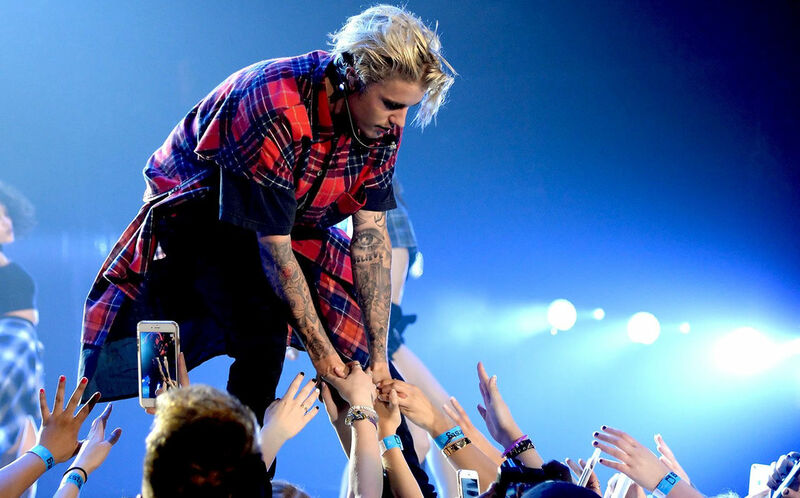 But even after streamed music became popular, people continue to go to live shows. Why? Because you get to experience it with other fans, and there’s a sense of electricity in the air when you hear your favorite artist or band perform their music live. Just as important as the music is the lyrics, the things an artist says or sings or raps about. It can be difficult trying to make out what artists sing, so try looking up the lyrics to your favorite songs online. AZLyrics has been around for a long time and has perhaps one of the largest databases for music lyrics compared to any other website. The layout is also clean and user-friendly. Genius, formerly known as Rap Genius, not only gives you lyrics, but provides annotations to lyrics made by fans, and sometimes even the artist themselves. The annotations tend to break down certain complex meanings hidden behind the lyrics, or offer a plausible interpretation or analogy that the lyric is making. Learning the lyrics to your favorite songs will not only help you remember the music, but it’ll also help you appreciate it more too. So you know where you’ll find music and what kind of music to look for, but how will you listen to it? Will you play it on your iPhone, through a pair of headphones or earphones? There are a few considerations to make when choosing headphones. In-ear monitors (IEMs) or earbuds are the most comfortable and portable choice. They’re the ones that come with your phone or MP3 player. These are good for exercise or work, as they are lightweight and relatively affordable. Check out 14 best earbuds under $50 from headphonesunder100center. On-ear headphones are just how they sound- they rest just on your ear. Similar to over-ear headphones, these provide excellent sound quality and isolation compared to headphones. Next, you have to decide whether you want wired headphones or wireless. Wired headphones usually offer better sound quality, and infinite power, whereas wireless allows you additional convenience and flexibility. Do you want noise-cancelling/sound-isolating headphones? Do you also want volume controls? An additional microphone? Where will you be using your headphones? What will you be using it for? Work, gaming, exercise? Do you care more about the headphone’s aesthetics and looks? Or its functionality and performance? Choosing headphones that best fit your needs can make a night and day difference. You’ll be able to focus on the quality of the music, picking out details you never noticed before. Sometimes you may want to relax in the comfort of your home, without cords and headphones around your head. In these cases, you should purchase some speakers. Just as purchasing headphones has certain considerations, so too does purchasing a speaker. Where will I use my speaker? Are you using your speaker for home theater entertainment, video gaming, or just something to listen to while you’re in the shower? The acoustics of the room can affect the quality of the speaker sound, so it’s important to keep in mind room size and material. Glass and wood can reverberate the music more than you’d like, and large rooms can create an echo if not insulated. If you plan to use your speaker outside, you need to find one loud enough and can has a decent battery life. What kind of sound do I want to hear? Some listeners prefer heavy bass, especially for hip-hop heads. Some people prefer bright tones and strong mids or highs, like people who love classic music. Test speakers at your local Target, Best Buy, or Walmart to find out. How big should the speaker be? Floor Speakers – Deliver a lot of sound and pair great with a big television for a theatrical experience. Checkout 5 best floor standing speakers under $500 from our review. Bookshelf Speakers – Bookshelf speakers are pretty self-explanatory in terms of size and placement: speakers that are small enough to be placed on a stand or on your bookshelf and can be used as rear speakers for surround sound. You can use studio monitor below $200 to replace for bookshelf speakers. Center-channel Speakers – Similar to bookshelf speakers, these speakers are placed beneath the television in the middle, usually used for surround sound. This is buying guide for best center channel speakers from our expert. Subwoofers – Subs usually act as a separate speaker that really brings our the lows and punch of the bass sounds. Usually these are placed on the floor, at a corner. Wireless Speakers – These speakers are usually small enough to be taken to a beach, used at a barbecue, or in the bathroom. They often use technology such as Bluetooth, Airplay, or Wi-Fi to play from a phone or other device. Sound Bars – A sound bar is a single speaker that is a long rod the width of a television. A sound bar can replicate the surround sound of big theaters with just a single bar and a subwoofer. Computer Speakers – If you’re more of a gamer, you may want to try using computer speakers. They are smaller but can still pack a punch. Some have special magnetic shields to prevent distortion on the monitor. Music is such a broad topic that not even this post puts a dent in the universe of sound. There is far more science, philosophy, art, and beauty than can be captured by any one person. But hopefully, this post gives you a brief snapshot into the various benefits and aspects of music that make it so entertaining and worthwhile to listen to. We hope we made you appreciate music and its significance in every person. Again, wherever you are, whoever you are, there is music – recognized and heard. Let’s share the article to your friend and comment what you think about this article.